Object <Content Database> failed in event OnRestore. For more information, see the spbackup.log or sprestore.log file located in the backup directory. SqlException: The restart-checkpoint file ‘Drive:\MSSQL10_50.MSSQLSERVER\MSSQL\Backup\xxxx.CKP’ could not be opened. Operating system error ‘3(The system cannot find the path specified.)’. Correct the problem, or reissue the command without RESTART. RESTORE DATABASE is terminating abnormally. The checkpoint file is a temporary file, deleted when the restore process is completed, and is normally placed in the default backup folder. – The “backup” directory does not exist under the directory where SQL Server is installed. – The drive where the “backup” directory resides is full. – The “backup” directory is not accessible to the SQL Server account. For fixing the issue you may check fallowings. 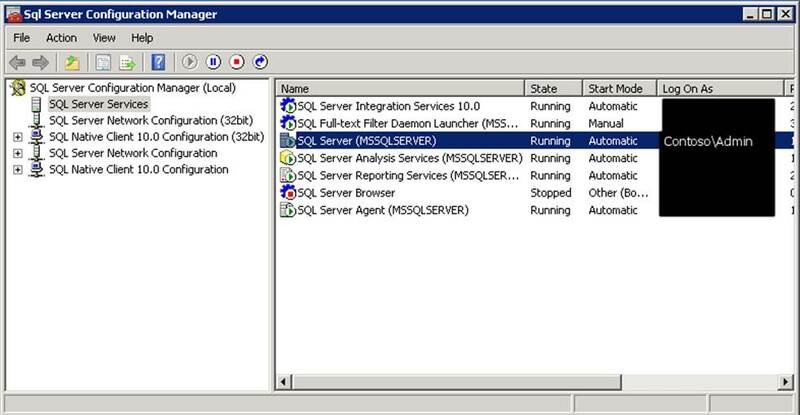 – Verify that the BACKUP directory exists under the directory where SQL Server is installed. If it does not exist, create it. – Verify that there is available space on the drive where the BACKUP directory resides. – Verify that the SQL Server startup account has permission to read from and write to the BACKUP directory. Cannot open backup device ‘E:\yedekk\spbr000000000BE.bak’. Operating system error 3(The system cannot find the path specified.). 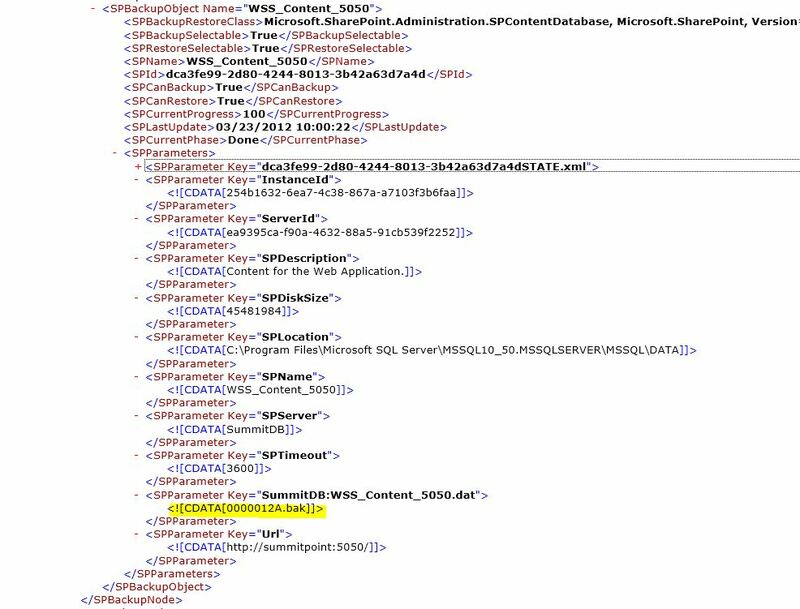 The account used by the SQL Server service account. 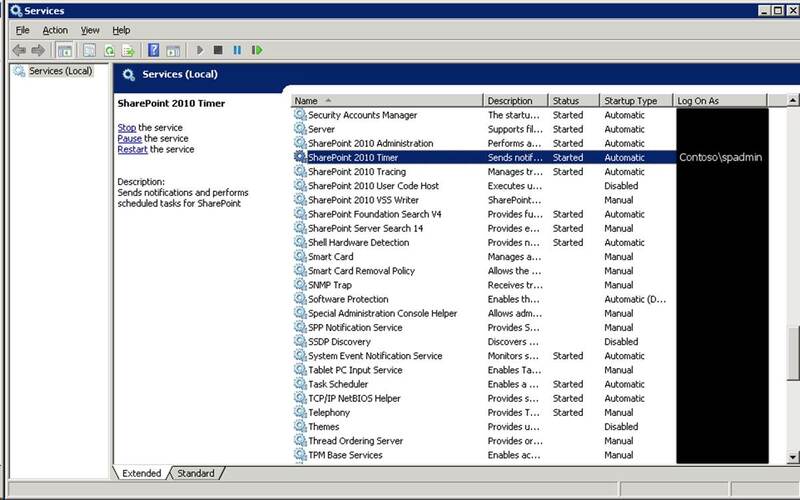 The Windows SharePoint Services Timer V4 (SPTimerV4) account. The logged on account, if you are using Windows PowerShell to perform the backup or restore. If the backup folder is a network share, ensure that all accounts that are listed above have access to both the share and the folder itself. 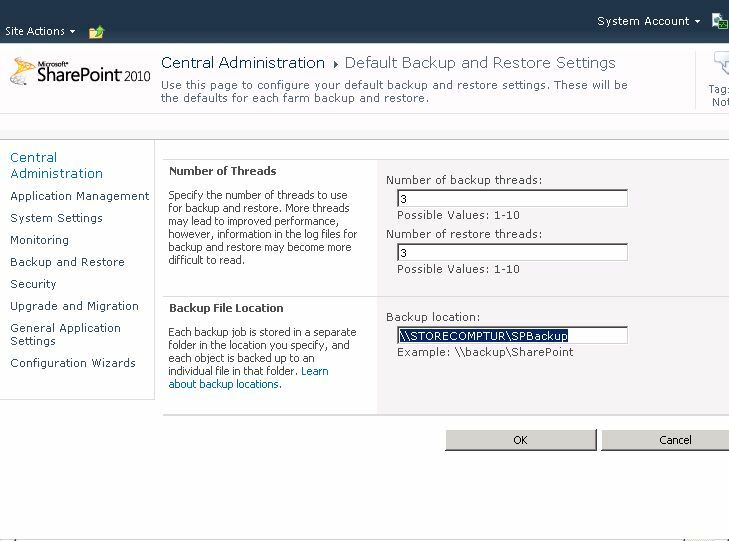 If you are performing a backup or restore operation between two SharePoint farms, services on both farms must have the permissions described above. 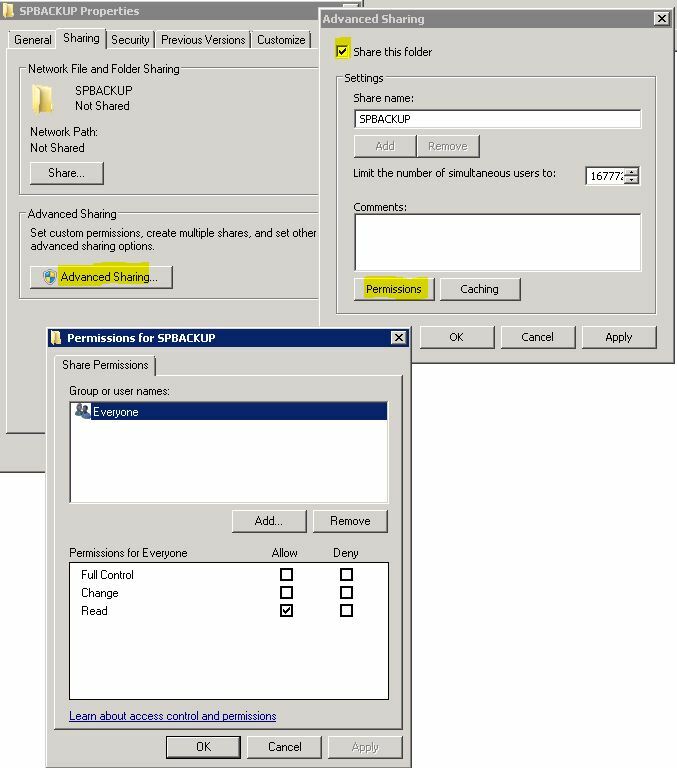 1) Creating a backup folder where we want to store sharepoint backup files on specified computer in your domain. After that you have to share this path and create a network path . 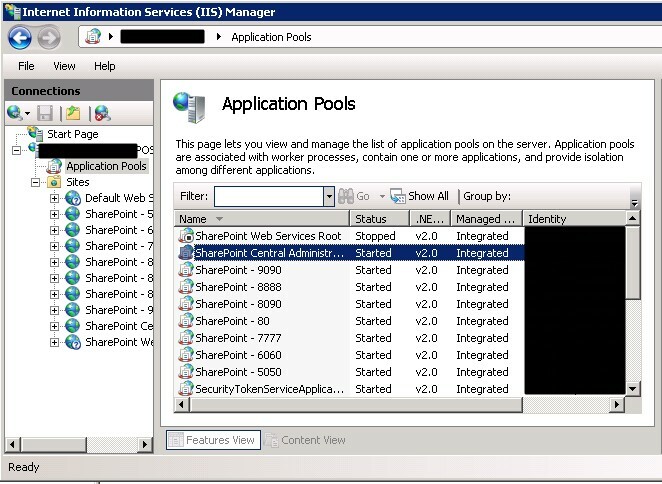 2) If you create the shared folder on a computer other than the one running SQL Server, ensure that the service account for SQL Server (MSSQLSERVER) is using a domain user account and that it has Full Control permissions on the shared folder.Give Full Control for SQL Server Service Account .You can find SQL Server Service Account that first connect your SQL Server -> Start -> All Programs -> Microsoft SQL Server 2008 -> Configuration Tools -> SQL server configuration Manager. Configure Backup Settings and type your network path to “Backup File Location” section . 6) Click Ok than perform a backup .